Now, here are the dets for the blogfest! Each person participating will post 2 Truths and 1 Lie about themselves sometime between today and Jan. 27th. People hop around and try to guess the lie! Players will reveal their Lie on my release day, January 28th! Okay, guys, Can You Handle The Truth *says in best impression of Jack Nicholson & doesn’t come even close* Please guess the lie in the comments below! And if you’re not playing yet, it’s not too late to join the party . . . You have until Jan. 28th! The Linky Link is below & don’t forget to enter the Rafflecopter at the top ^ of the page! Can You Handle The TRUTH Blogfest (Kinda) Signup! 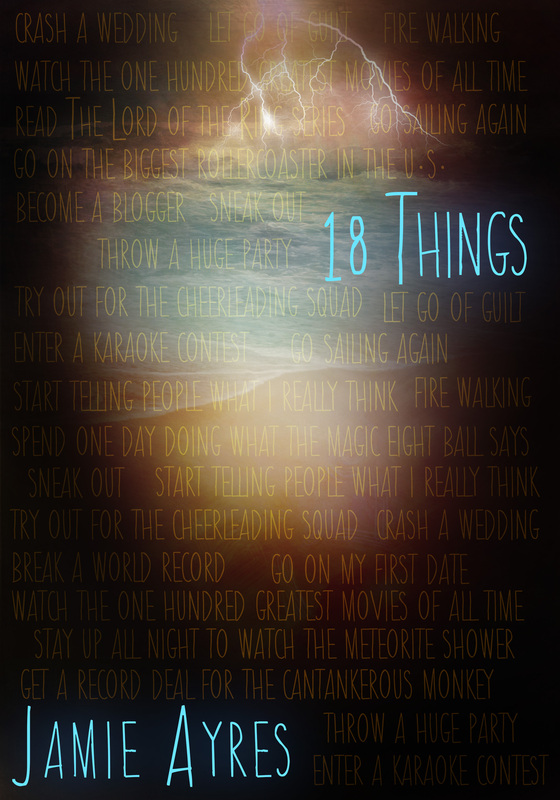 18 Truths (click to add to your Goodreads shelf!) is coming in 13 days. Can you believe it? Almost a year has gone by since 18 Things released, the first installment of the trilogy, and it really is scary how time flies! But I’m so excited for readers to go on a new adventure with Olga! 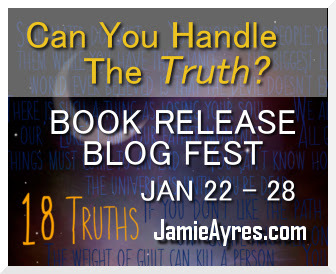 Beginning January 22nd until release day, January 28th–I’ll be hosting the Can You Handle The Truth Blogfest. This is something anyone, anywhere can participate in. All you have to do is post a blog centering around the classic Two Truths and a Lie get-to-know-you game. Players tell two truths and one lie. The object of the game is to hop around the blogs and determine which statement that each blogger posted is the false one. I can’t wait to visit each blog and read your entries! I’ve seen this question done before in author interviews & have used it in my classroom for years as an icebreaker, & it always provides lots of laughs! Now to the (Kinda) part of this post: Don’t blog? Put the cover of 18 Truths or the blogfest badge ^ from above up on your FB wall and post your 2 Truths & a Lie under the photo, or pin it on Pinterest with your 3 statements in the comments, or tweet them. Bloggers, sign up NOW for the blogfest in the LinkyTool below (and make sure you grab the 18 Truths badge to put on your blog and please link back to this site whenever you post). Let’s get this party started! “Reading isn’t for you? But you’re a Language Arts teacher and published author!” Before you pick up that stone, let me explain. I teach reluctant readers every day and realized the apple doesn’t fall far from the tree. Did anyone see a recent poll in the associated press that only one in four adults read? Raise your hand if you think it’s sad only 25% of our adult population reads books? Okay, now put your hand down, people are staring (welcome to my world . . . and it’s not because I’m extremely good-looking, no matter what Mom says). But I do understand this is a real mentality. I live with a husband who falls under the category of, “Reading isn’t for me.” In fact, he still hasn’t finished reading my debut novel, 18 Things, which released last January. Yeah, you read that right. LAST January. He said it’s his New Year’s Resolution to finish it in 2014. I’m not holding my breath, or I’d turn purple before you could say Ghastly Guilt Trip Glutton Reader! I write and read as if breathing depends on it, so as an author and teacher, when I hear so many voices around me saying, “Reading isn’t for me,” I start to get more panicked than a sinner at church on Sunday. When I think back to my own young adult days of reading (a long time ago in a galaxy far away), I can testify books made me everything I am. I started to believe in magic while taking up residence in Narnia and Hogwarts, craved adventures while sailing the raft with Huck and Jim, developed courage while sitting around the Round Table with King Arthur, expanded my understanding of everyday communication when laughing with Amelia Bedelia, learned to accept people for who they are with an ugly duckling, appreciated the value of trying new things when eating green eggs and ham with Sam I Am, overcame difficulties with the Swiss Family Robinson, utilized my critical thinking skills while solving mysteries with Nancy Drew, repented and cared about others with Ebenezer Scrooge, craved true love and romance with Miss Elizabeth Bennet, reveled in the power of grace with Jean Valjean, and became a good friend and writer alongside a spider named Charlotte. These characters made me believe in a world where I could go anywhere and be anything I wanted to be. The stories helped me to know I wasn’t alone (even though I sat by myself in the cafeteria), evolved my perceptions about the world around me and how to sympathize with others, entertained me when I was bored, and made me feel emotions I lacked from growing up in a dysfunctional family. Already, I know my case for why reading is for everyone is being drowned out by the sound of kids inhaling violent video games, by the sound of teens receiving yet another text message, by you (if you’ve managed to read this far, then pat yourself on the back until you get a muscle cramp) getting distracted by some shiny new object posted to YouTube. 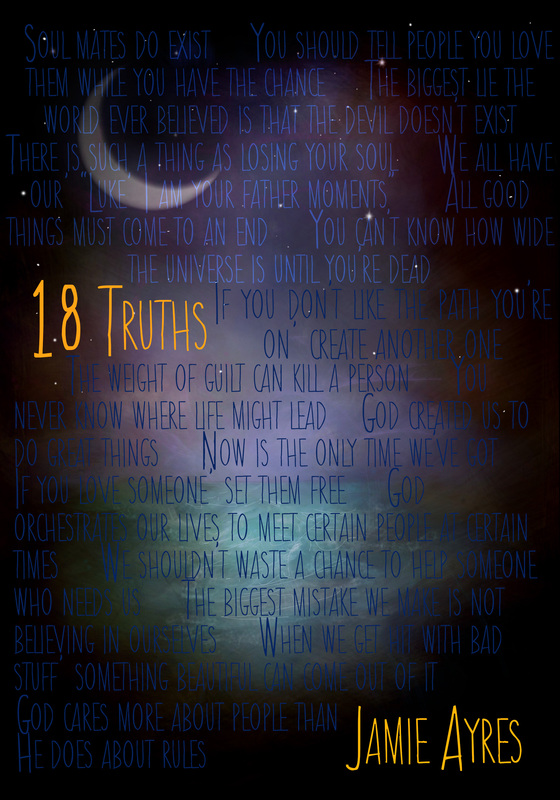 With the release of my second novel, 18 Truths, coming this month (January 28th! ), I’m willing to do just about anything to get people to read (short of sprinting across the field during the upcoming Super Bowl with my book’s title painted across my bare chest). Most of you reading this post are probably veracious readers . . . any ideas on motivating those around me, young and old, to READ? Because I don’t think the “Reading isn’t for me,” should hold up in the courtroom of life. What better way to satisfy our curiosities, learn what we need to know, and come together to make sense of this world than through a good book? Don’t forget to visit other bloggers in the Insecure Writers Support Group ! And as always, mucho thanks to our Head Ninja Captain, Alex J. Cavanaugh for creating this wonderful group!